These conditions may be modified when deemed necessary, so be sure to check them periodically as your continued use of the web site signifies your acceptance of any changed items. Your use of this web site constitutes your acceptance of the following conditions. Please familiarize yourself with them. If you do not agree with these conditions, please discontinue usage of this web site. WHILE WE MAKE REASONABLE EFFORTS TO PROVIDE ACCURATE AND TIMELY INFORMATION ON THE WEB SITE, YOU SHOULD NOT ASSUME THAT THE INFORMATION PROVIDED IS ALWAYS UP TO DATE OR THAT THIS WEB SITE CONTAINS ALL THE RELEVANT INFORMATION AVAILABLE ABOUT OUR BRANDS AND PRODUCTS. 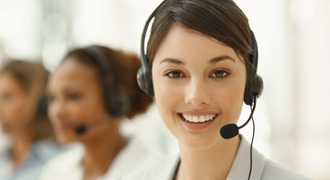 using the web site or any application for any commercial use. 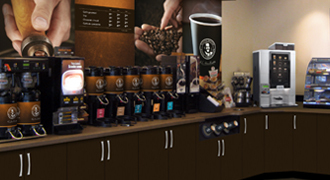 The text, images, graphics, sound files, animation, video and/or their arrangement on the web site are all subject to intellectual property right protection and such material from web site and any other worldwide web site owned, operated, licensed or controlled by Keurig Canada Inc. or any of their related, affiliated or subsidiary companies (collectively “Keurig Canada”) may not be copied, distributed, republished, uploaded, posted or transmitted in any way without the prior written consent of Keurig Canada. Modification or use of the materials for any other purpose violates Keurig Canada’s intellectual property rights. Neither title nor intellectual property rights are transferred to you by access to this web site, but remain with Keurig Canada, who owns full and complete title to the material in this web site. This web site and all content provided on this web site is protected by copyright, trademark and other applicable intellectual property and proprietary rights laws, and is owned, controlled, and/or licensed by Keurig Canada. Nothing contained on this web site grants, by implication, estoppels, or otherwise, any license or right to use any trademarks, logos, or other names, including, but not limited to, those identifying Keurig Canada or their respective products and services displayed on this web site, without the expressed written consent of Keurig Canada or such third party that may own such trademarks, logos and other names displayed on this web site. The display of these marks is not intended to be a comprehensive compilation of all Keurig Canada worldwide proprietary ownership rights, and Keurig Canada may own or control other proprietary rights in one or more countries outside Canada. 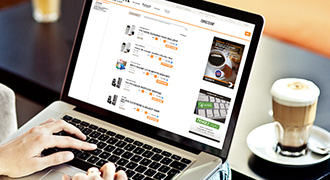 All copyright and other intellectual property rights in all text, images and other materials on this web site are the property of the Keurig Canada or are included with the permission of the relevant owner. You are permitted to browse this web site, reproduce extracts by way of printing, downloading to a hard disk or for the purposes of distribution to other individuals. 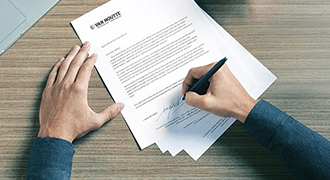 This is only to be done on the provision that you keep intact all copyright and other proprietary notices and that the above trademark notice appears on such reproductions. No reproduction of any part of this web site may be sold or distributed for commercial gain nor shall it be modified or incorporated in any other work, publication or web site. Without the expressed written consent of Keurig Canada, no information or material from this web site may be copied, reproduced, republished, uploaded, posted, transmitted, or distributed in any way whatsoever except that you may download one copy of the materials onto any single computer, for your personal, non-commercial home use only, provided you keep intact all copyright and proprietary notices. You agree that you do not acquire any rights in any downloaded content. You agree to abide by all copyright notices, information and restrictions contained in any content on this web site and any content accessed through this web site. You are hereby advised that Keurig Canada will enforce its intellectual property rights to the fullest extent permitted by law. You will use this web site and any content, material, or information found on this web site solely for lawful purposes. You shall not upload to, distribute to, or otherwise disseminate through, this web site any material or information of any kind that is libelous, defamatory, obscene, pornographic, abusive, or otherwise violates any law or infringes or violates any rights of any other person or entity, or that contains a solicitation of funds, advertising, or a solicitation for goods or services. You will be solely responsible for the content of any material or information that you make available through this web site. You will also be liable for any loss or damage resulting, directly or indirectly, from your making any material or information available through this web site. Any conduct by you that in Keurig Canada’s discretion restricts or inhibits any other user from using or enjoying this web site will not be permitted. The foregoing provisions of this section are for the benefit of Keurig Canada and its third party content providers and licensors and each shall have the right to assert and enforce such provisions directly or on its own behalf. The information contained on this web site is for informational purposes only and it is not intended to meet any particular user’s need. Documents provided on this web site are provided as a service only, and do not constitute official versions of such documents. This web site, and all content, material, information or postings found on or accessed through this web site, are provided on an “AS IS” basis. 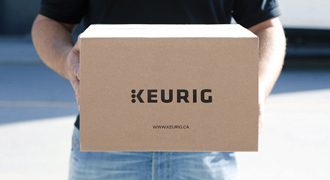 Keurig Canada, , and each of their respective directors, officers, employees, consultants and agents expressly disclaim any and all representations, warranties and conditions, expressed and implied, including, without limitation, any and all representations and warranties of title and non-infringement, and all implied warranties and conditions of merchantability, fitness for any particular purpose, suitability for any particular purpose, and any representations, warranties or conditions arising from any course of dealing or usage of trade, with respect to this web site or the content contained in or accessed through this web site. Neither Keurig Canada nor each of their respective directors, officers, employees, consultants and agents make any representations or warranties as to the accuracy, timeliness, reliability, truthfulness or completeness of this web site or the content contained in or accessed through this web site, including, but not limited to, the contents of any content, information, material, or posting found on this web site (including, but not limited to, any press releases or financial information), any services provided through this web site, or any links to other web sites made available on this web site or the content contained on such web site(s), or as to the continuous or error free use and operation of the internet or this web site. 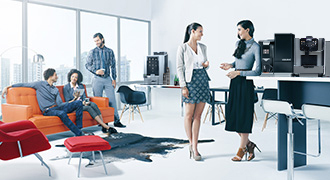 Keurig Canada and each of their respective directors, officers, employees, consultants or agents make any representations or warranties that this web site or access to and use of this web site will be uninterrupted, error free, or free from defects, viruses or other harmful components. You expressly agree that use of this web site is at your sole risk. 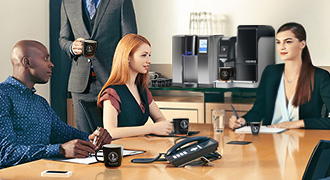 Under no circumstances, including, but not limited to, negligence, gross negligence, negligent misrepresentation and fundamental breach shall Keurig Canada and each of their respective directors, officers, employees, consultants and agents be liable for any direct, indirect, incidental, special or consequential damages or any loss that result from the use of, or the inability to use, any content, information, material, or postings on this web site, directly or indirectly, or the transmission of confidential or sensitive information over the internet. These limitations apply regardless of whether the party liable or allegedly liable was advised, had other reason to know, or in fact knew of the possibility of such damages. You specifically acknowledge and agree that neither Keurig Canada nor each of their respective directors, officers, employees, consultants and agents shall be liable for any defamatory, offensive or illegal conduct of any user, including you. To the maximum extent permitted by applicable law, you will defend, indemnify and hold harmless Keurig Canada, and each of their respective directors, officers, employees, consultants and agents from and against all claims, liability, and expenses, including all legal fees and costs, arising out of: your breach of these provisions; or (ii) your use of this web site, the content contained in this web site and the placement or transmission of any information or other materials on this web site made by you or others using your account. You agree to promptly notify Keurig Canada immediately after you become aware of any unauthorized use of your account and to take such reasonable steps as are necessary to prevent any reoccurrence of such event. Keurig Canada reserves the right, in its sole discretion and at its own expense, to assume the exclusive defense and control of any matter otherwise subject to indemnification by you. You will co-operate as fully as reasonably required in the defense of any claim. Keurig Canada also assumes no responsibility, and shall not be liable for, any damages to, or viruses that may infect, your computer equipment or other property on account of your access to, use of, or browsing in this web site or your downloading of any materials, data, text, images, video, or audio from this web site. Any disputes arising hereunder shall be governed exclusively by the laws of the province of Quebec and the laws of Canada applicable therein, without giving effect to their conflict of laws principles. 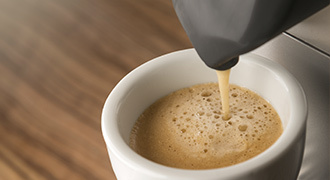 You expressly consent to the exclusive forum, jurisdiction, and venue of the courts of Quebec and/or the Federal Court of Canada, or any other judicial district or jurisdiction as Keurig Canada may determine, in any and all actions, disputes, or controversies relating hereto. These provisions and any rules, policies or guidelines posted on this web site by Keurig Canada constitute the entire agreement between Keurig Canada and you with respect to the subject matter hereof. No waiver by either Keurig Canada or you of any breach or default hereunder shall be deemed to be a waiver of any preceding or subsequent breach or default. If any provision contained herein shall be determined to be void, invalid, or otherwise unenforceable by a court of competent jurisdiction, such termination shall not affect the remaining provisions contained herein.